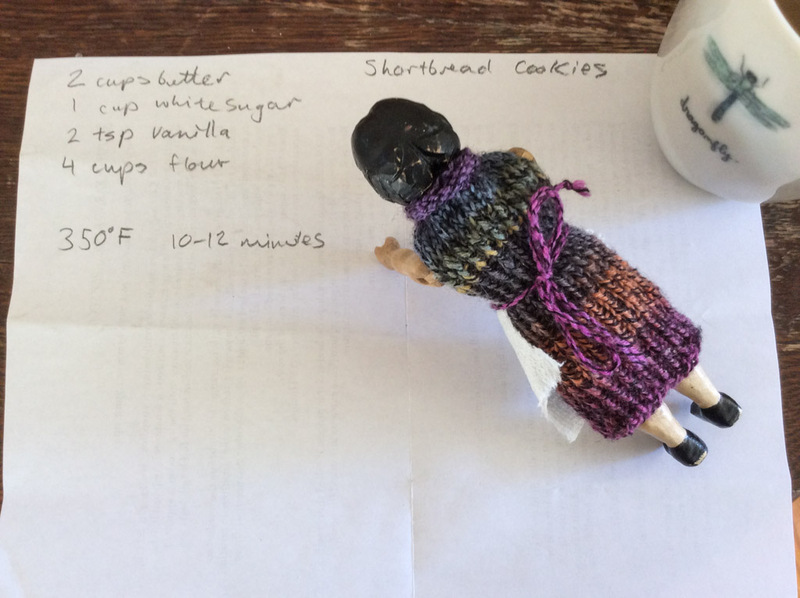 And then they found a recipe (we changed the baking temperature to 325, and the time to 15 minutes). 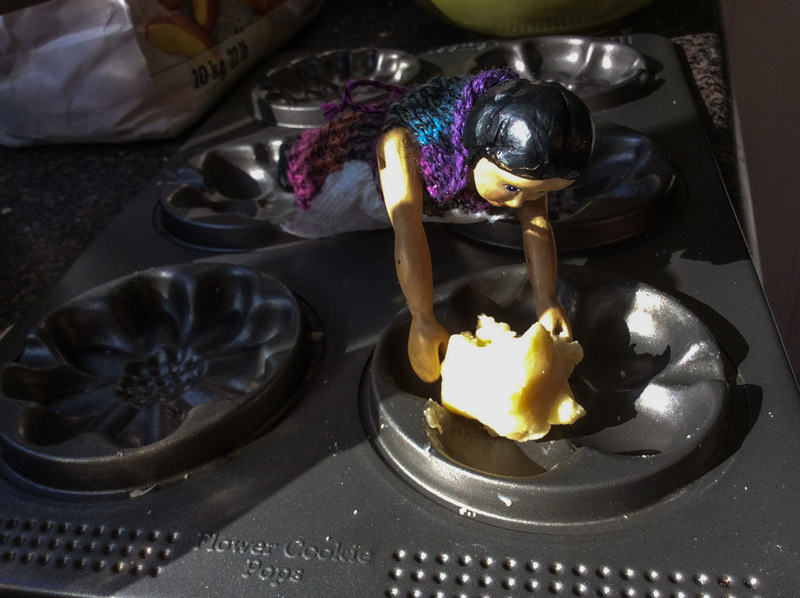 …And they mooshed it into the cooky pan. They made beautiful flowers of spring cookies for the first day of spring. The cookies were so tasty! 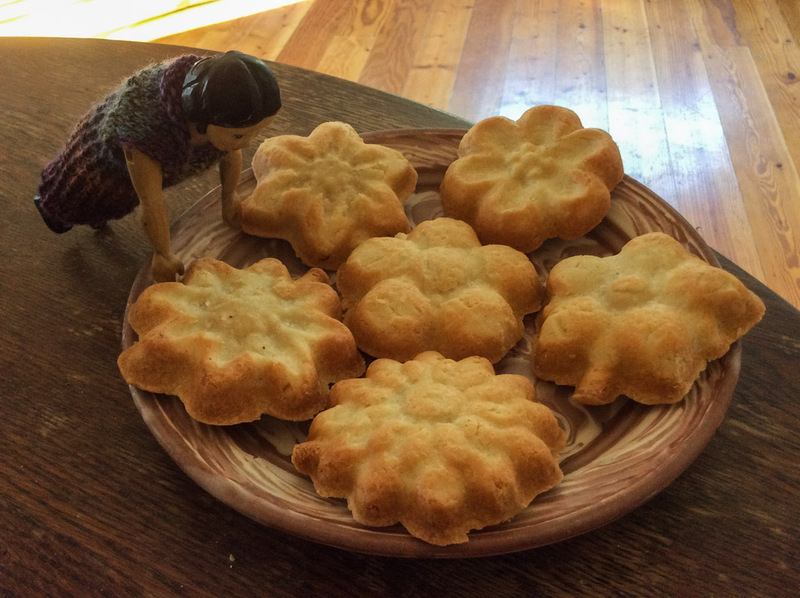 Flower cookies…what a fun way to start Spring! Also wonderful spending time with the little one. Have continued fun in Comox! Spring flowers in any form are welcome! We are having fun! 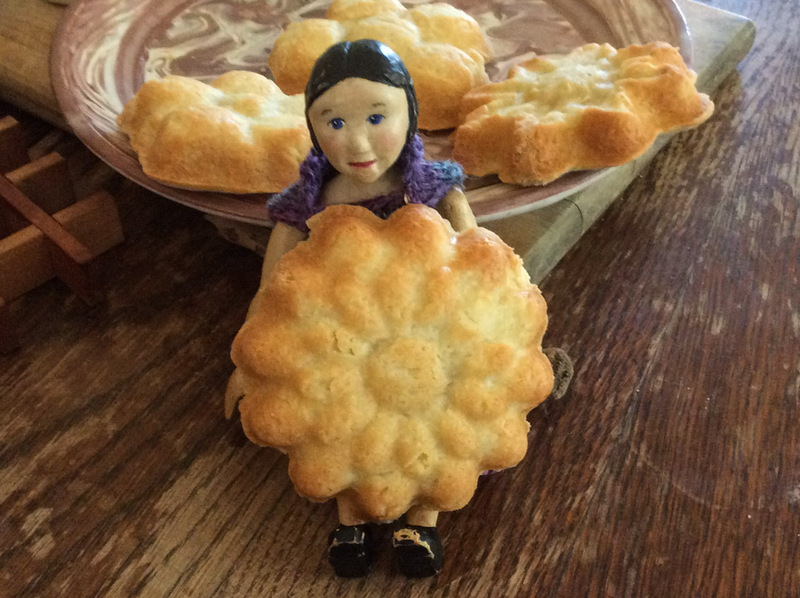 How tasty to welcome Spring with those lovely, fun baked shortbread cookies! It appears that great memories are being made. Thanks for sharing such happy times with us. They were very tasty, and Spring is very welcome! You are welcome! 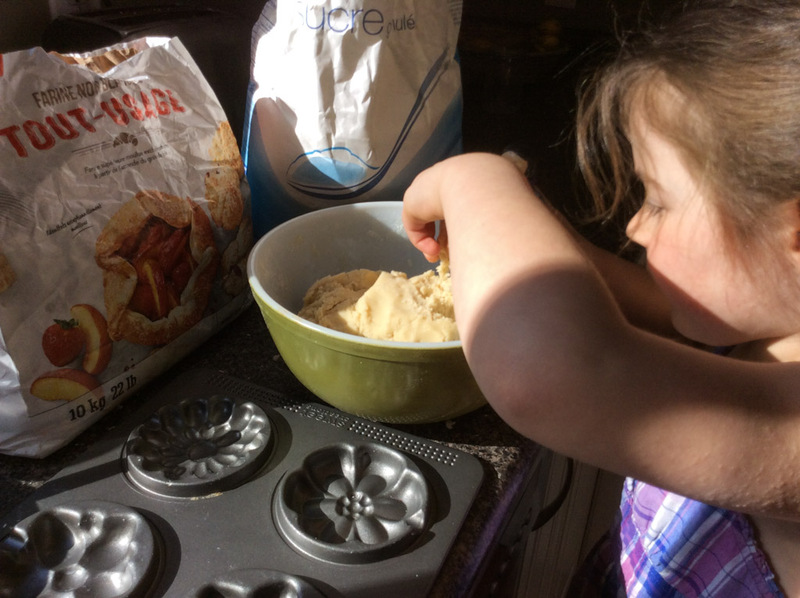 Flower cookies…Hum…flower barbeque…flowers are a wonderful theme in youngest member’s home. Love them all. 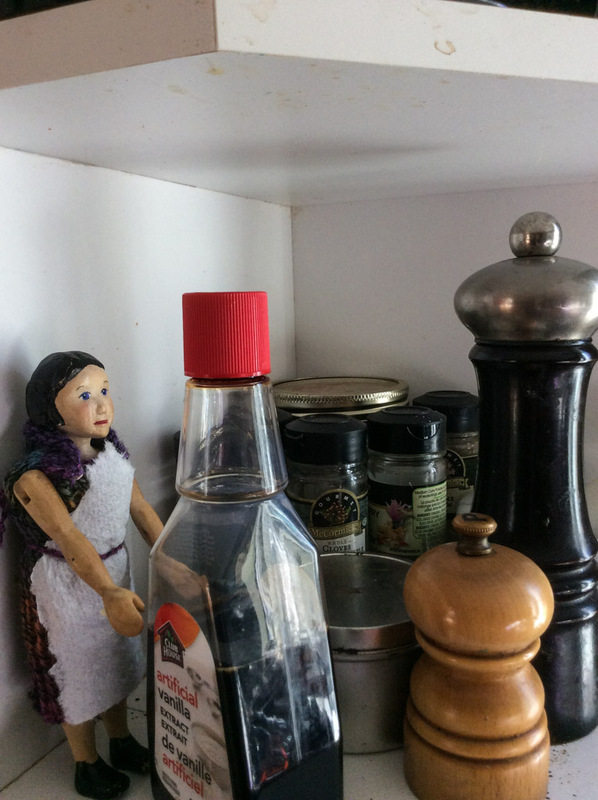 It is delightful to notice and encourage the youngest’s inclinations…happy spring to you! Oh how beautiful! 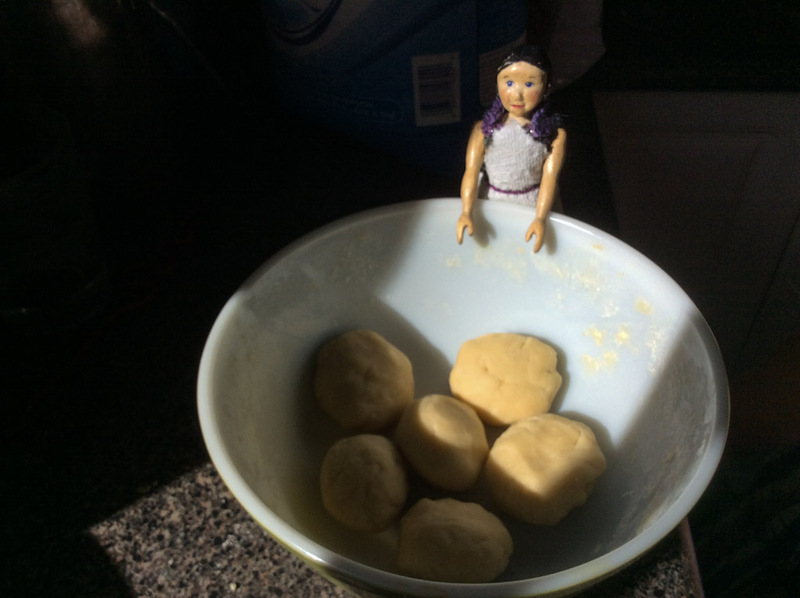 Shortbread cookies have long been a favourite of mine. So lovely to carry on the tradition to the next generation with the additional twist of flower molds! The little apron was very creative! Linnea had a brand new dress, and young human was worried about getting it messy…so she improvised, very effectively I thought! The cookies were wonderfully delicious! Lovely.. Linnea and the little baker created some wonderful cookies. Love those flower tins!! The flower tin was perfect for this cooky recipe! We all enjoyed the result!